Each of us has often been asked, “What is medical malpractice?” Medical malpractice is defined as a violation of the standard of care that causes injury. The standard of care is what a reasonable physician would do in the treatment of you. As medical negligence attorneys, it is our job to look not only at the injury our clients sustained, but also at the care received. It comes down to whether or not your doctor made a mistake. It is not enough to show that you were hurt after a physician treated you. As medical negligence attorneys, Harrell, Smith & Williams are familiar with what such negligence looks like. We are able to listen to you and weigh your concerns with our familiarity of the medicine. We will also obtain your medical records and have them reviewed by a physician. That physician will then be able to give an opinion regarding your doctor’s actions. Remember, the standard of care is what a reasonable would have done. We have to find that reasonable doctor to tell us what he or she would have done. We also look at the harm caused by your doctor’s mistake. Our familiarity with medicine will allow us to guide you through the potential difficulties in proving harm when it comes to medical malpractice. It is not enough to simply show a physician acted improperly, we must show that such action caused you harm. Our attorneys are well trained and very experienced to look at the whole picture and explain your options. 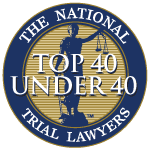 Additionally, each of our attorneys knows physicians who will review your case and provide opinions regarding the extent of damages related to any malpractice that occurred. Trust the skilled attorneys at Harrell, Smith and Williams with your concerns. We will listen to you. We will consider everything you tell us. Then our work begins as we consider all possibilities. Our experience and skill will ensure that your interests are protected and that you are compensated for all harm caused by the failure of any physician to follow the rules. We are in it for the long haul. 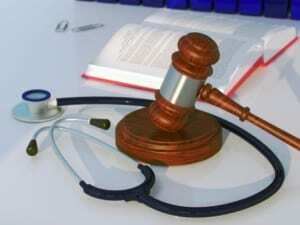 Medical Malpractice cases take much longer than most as any number of individuals may have to be included in the case. We will ensure that every stone is turned and every base is covered.